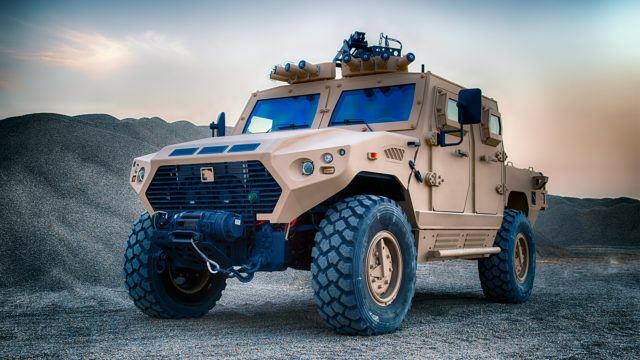 The UAE’s best known military product has found an enthusiastic new customer. 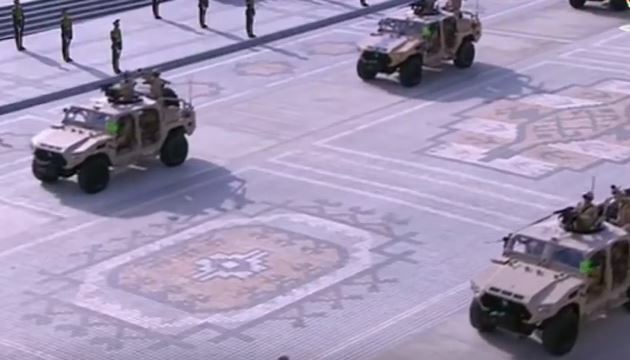 Models from the Nimr vehicular catalog, being different variants on a universal chassis, are now an indispensable part of Turkmenistan’s military. Convoys of Nimr trucks were spotted during a parade on October 27 to mark 26 years since the Central Asian republic gained independence. The first Nimrs entered service in 2009 with the UAE’s Union Defense Force. It has since been exported to a handful of Arab countries and licensed production was shared with Algeria in 2012. For its customers, the Nimr is an excellent choice for a light troop carrier and logistics vehicle. According to its manufacturer, it allows a squad “to traverse diverse terrain at high speed, both on and off-road.” While some units in the Turkmen military drive Ajban RIVs, others use either pickup trucks or Polaris Dagors. Unprotected commando vehicles are very fashionable these days, even when they expose passengers to gunfire. 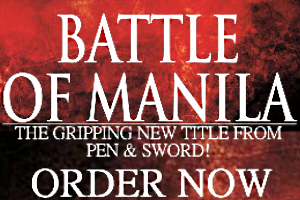 Their appeal, however, is modest gross weight and being able to carry lots of weapons. 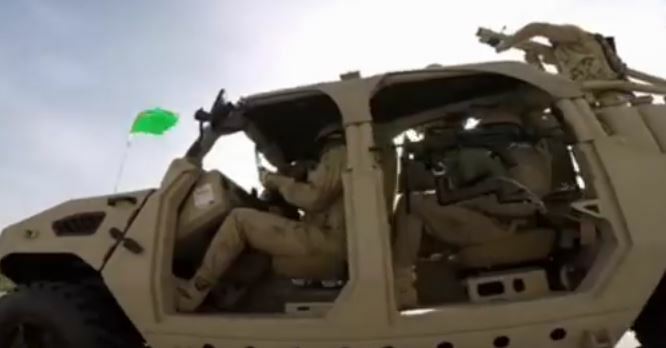 For the Turkmen Ajbans, soldiers can ride in the cab and on the bed carrying their rifles, but there’s also an M2 Browning on the roof and pivoting arms for machine guns. As seen in the grainy screen grab above, this Ajban comes with an Israeli Negev. Just to be clear, Turkmenistan has been buying Israeli weapons for years and its special forces are equipped with Tavor rifles. There doesn’t seem to be any hesitation combining these with a useful platform such as the Nimr, which originates from an Arab state. Part of this setup includes a should-fired SAM launcher. The Turkmen military also have the Ajban 440A and these are configured not for recce or long-range patrol, but urban combat. During the October 27 parade Ajbans equipped with Shershen/Skif anti-tank missiles followed the Ajban RIVs. The inclusion of a 12.7mm machine gun on its bed seems an odd choice, since its field of fire is confined to an 180 degree arc behind the cab. This means if it must lay down suppressing fire for troops the truck has to park either sideways or in reverse. Nimr’s are highly modular and it’s possible, if Turkmenistan’s defense ministry wished, for either a Ukrainian or Israeli remote weapon station combining guns and missiles to be installed on the roof. Having an RWS spares a soldier from exposing themselves in battle. The Shershen/Skif missile launchers on the Turkmen Ajbans shouldn’t be mistaken for the older Konkurs anti-armor missiles. The Sherhsen’s origins date to a joint venture between Ukrainian and Belarusian companies in the 2000s. The Shershen is a 130mm laser guided missile that can hit targets up to 5.5 kilometers away. Its tandem warhead is capable of penetrating the armor of most third-generation tanks, although this hasn’t been done in genuine combat yet. It’s possible to arm the Shershen with a 152mm missile, making it an analog of the impressive Russian Kornet. 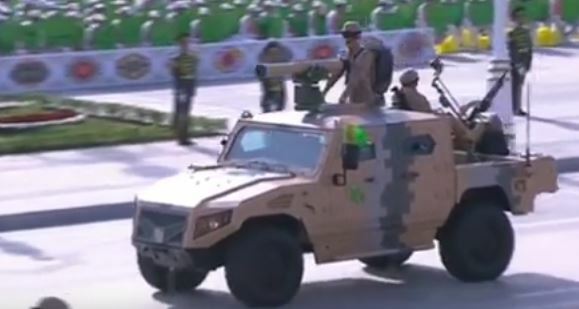 Turkmenistan could be the largest foreign user of Shershen ATGMs and it even has specialist vehicles as tank destroyers. The Shershen-Q’s are vans carrying a quartet of missiles loaded onto a reclining module. They can move undetected in urban areas then track and engage targets at intermediate ranges. Turkmenistan can’t go wrong with its Nimr Ajbans. If its military ever needs new mobile anti-aircraft artillery, short-range air defenses, a mortar carrier, and even an ambulance or an electronic warfare system, the Nimr can fulfill all these roles.